Como han hecho otras aerolíneas europeas tradicionales, y para adaptarse a las nuevas condiciones del mercado, Lufthansa reformulaba gran parte de su operación de corto y medio radio "reinventando" a Germanwings, un nombre que, por desgracia, acabó siendo fatídicamente asociado a la tragedia del vuelo 4U 9525. 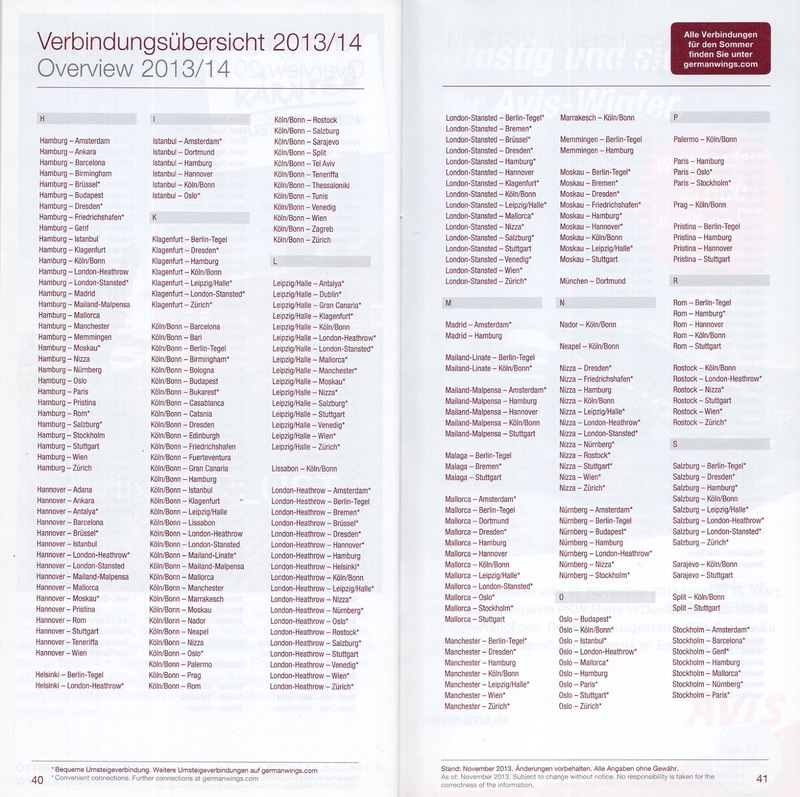 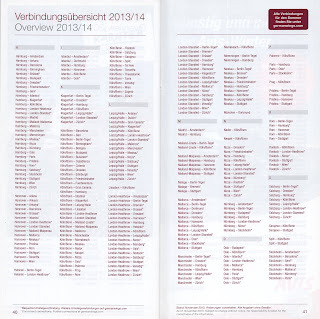 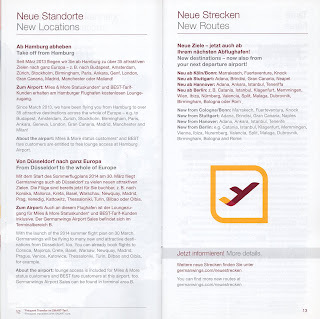 Esta "nueva" Germanwings es, en esencia, la que más tarde se transformó en la Eurowings actual. 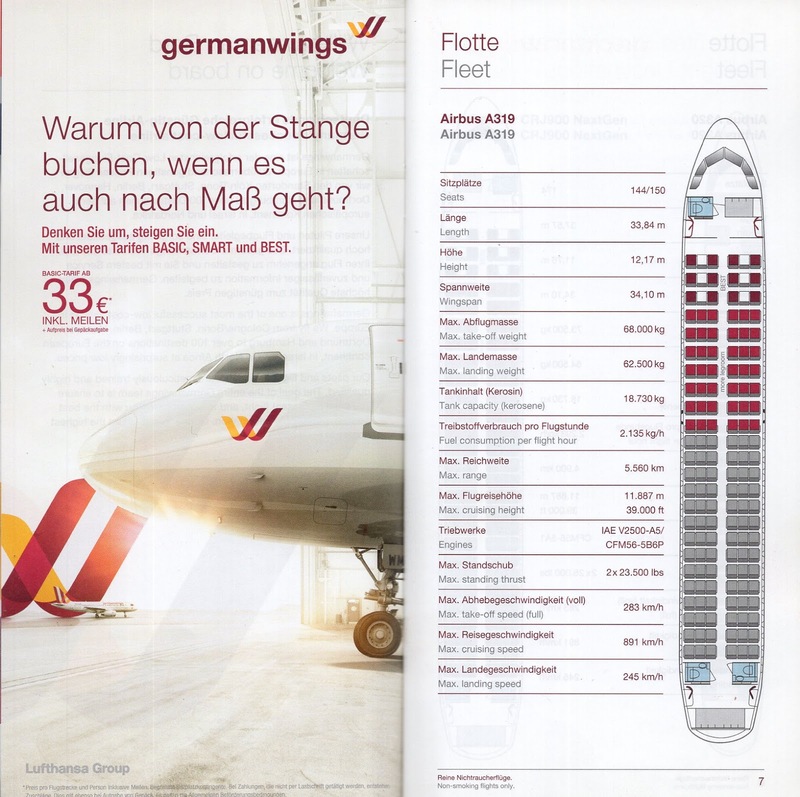 Just like other European legacy carriers did, Lufthansa chose to reinvent most of its medium and short range European product and in 2013 launched the "new" Germanwings as it low cost style short haul airline. 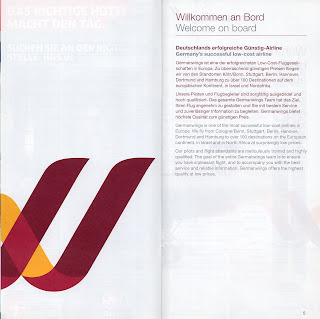 As you might well know, the Germanwings name became "doomed" after the crash of the 4U 9525 tragedy and this "new" Germanwings was later transformed into the current Eurowings. 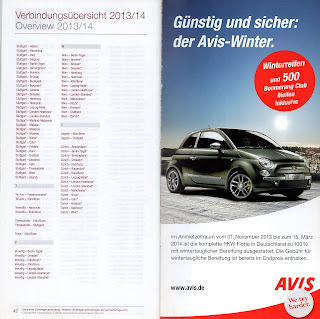 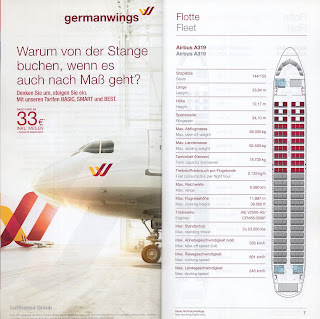 En este folleto se presentaba al público la "nueva" aerolínea, una filial del grupo Lufthansa que al igual que otras (Iberia Express y en cierto modo Level, Joon de Air France, etc) intentan convencer a parte del público de que son un producto low cost mientras al mismo tiempo buscan continuar ofreciendo un completo abanico de servicios que ya daba la matriz. 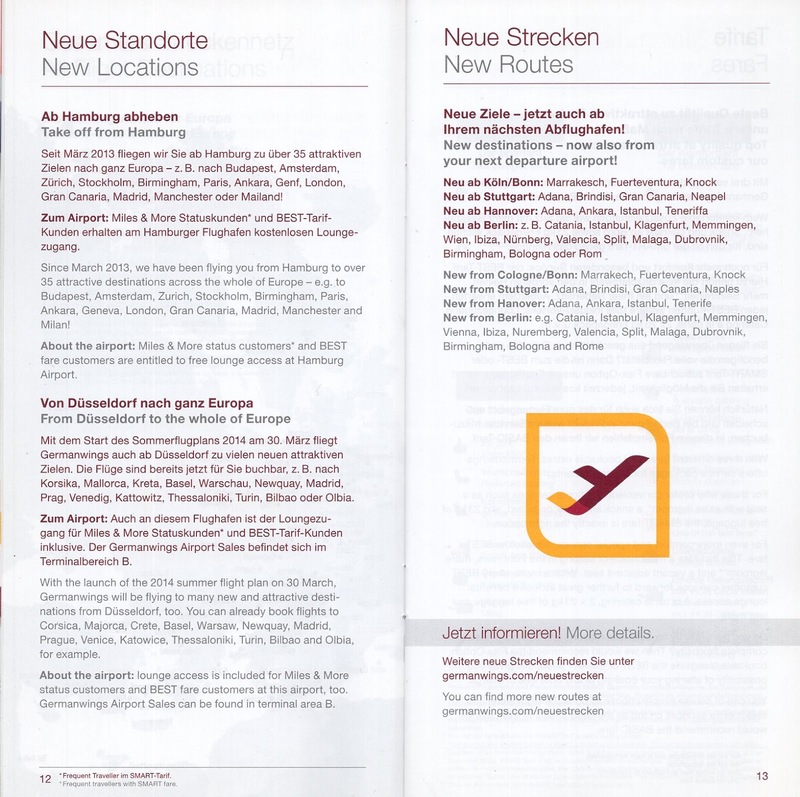 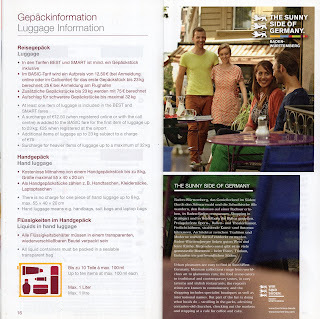 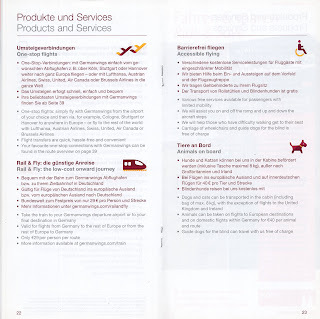 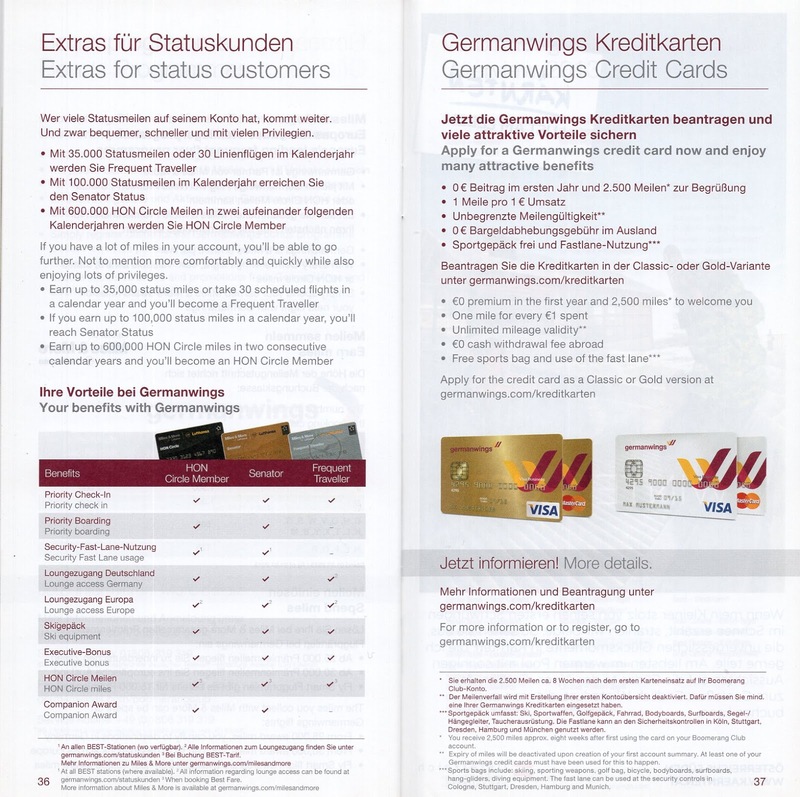 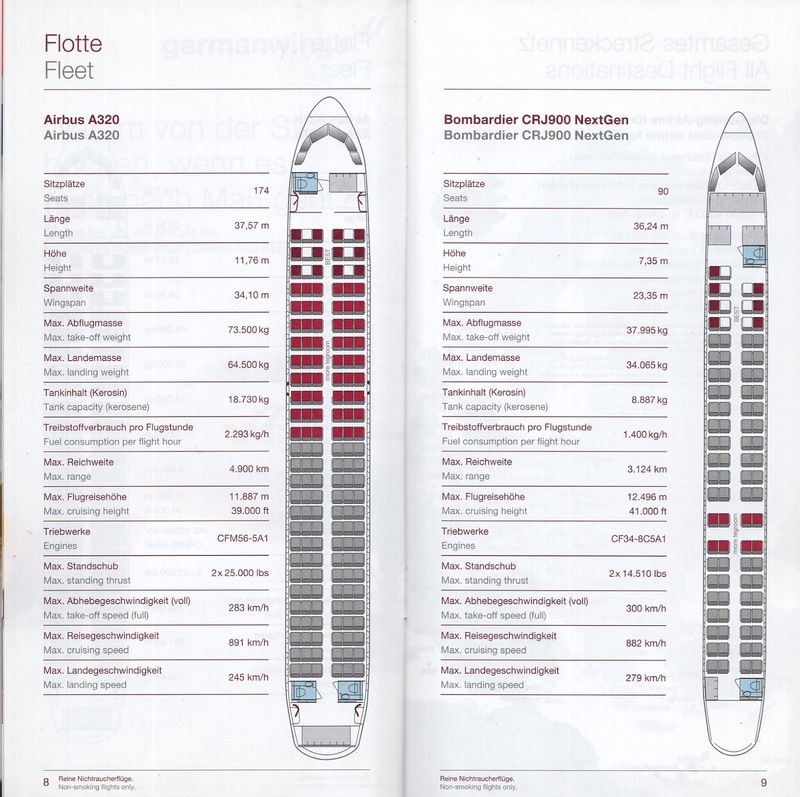 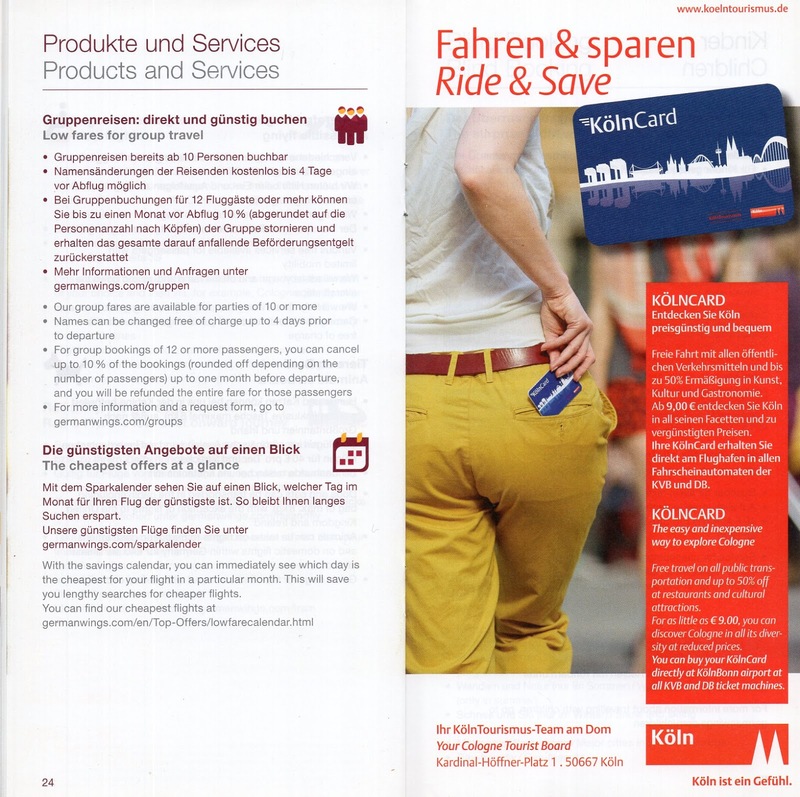 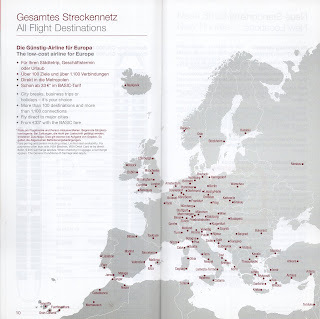 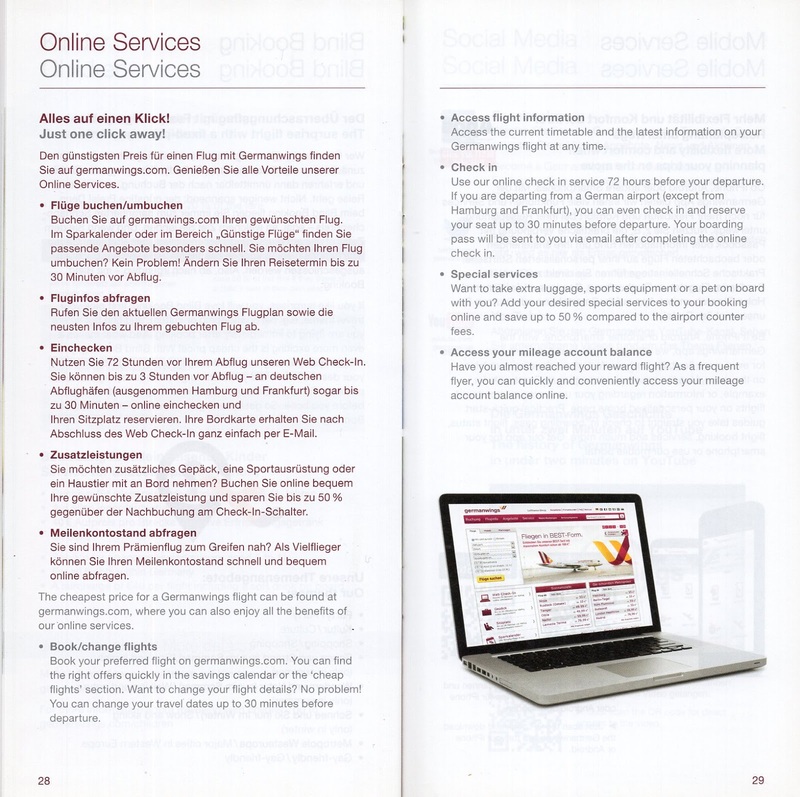 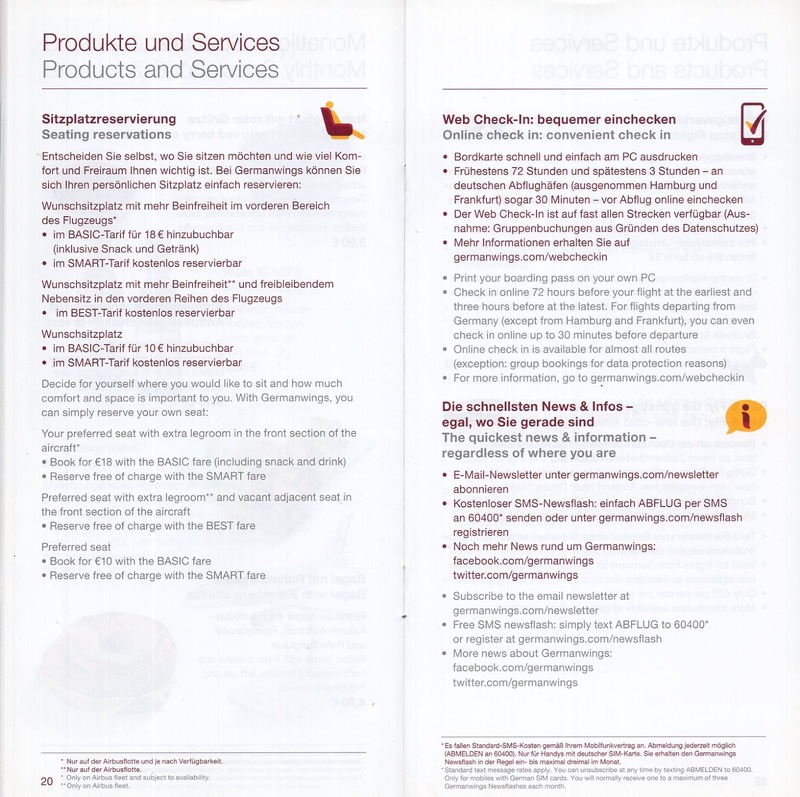 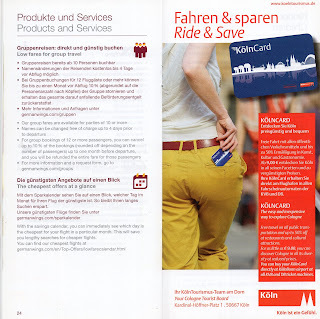 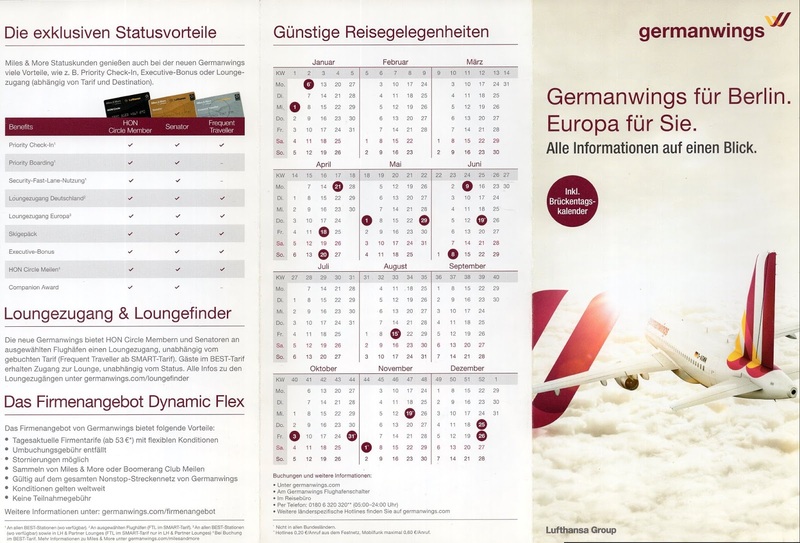 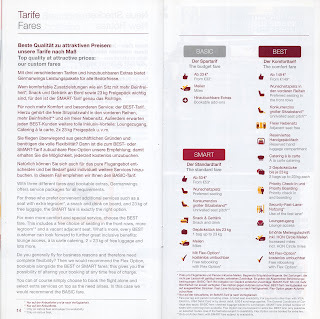 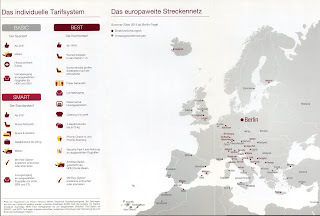 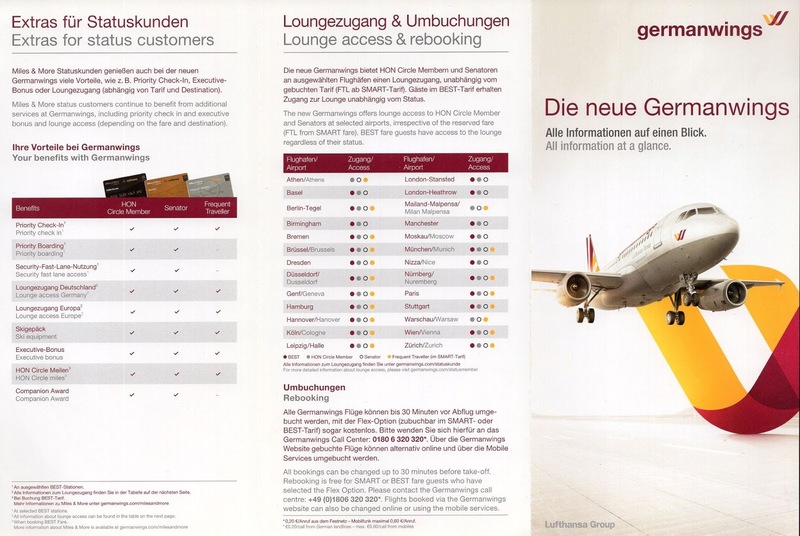 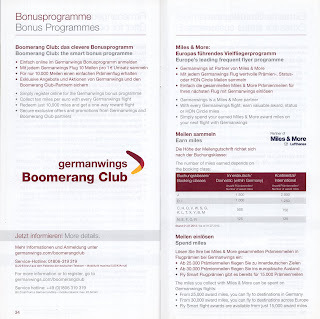 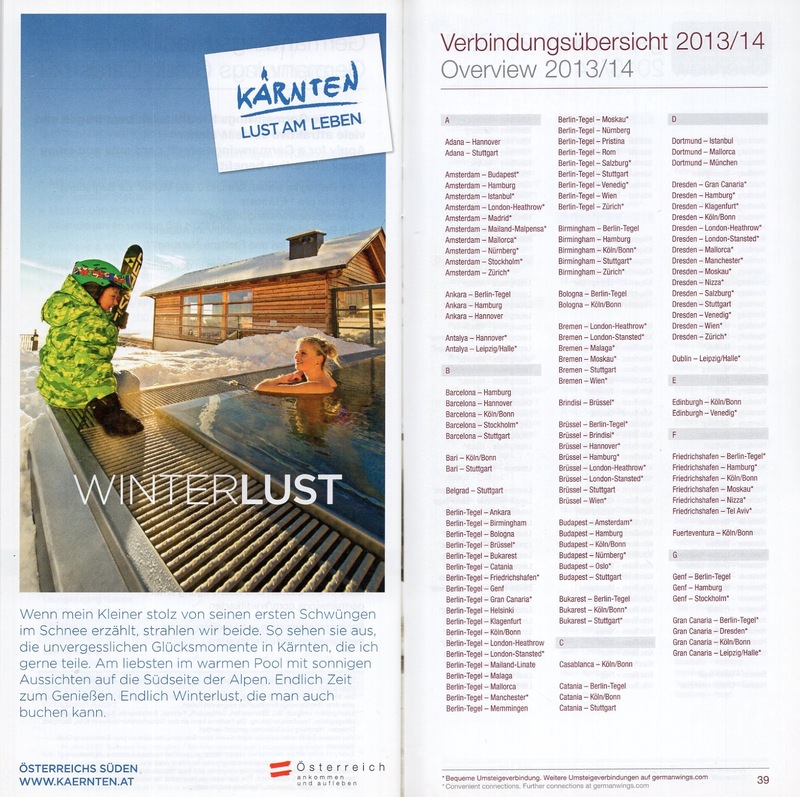 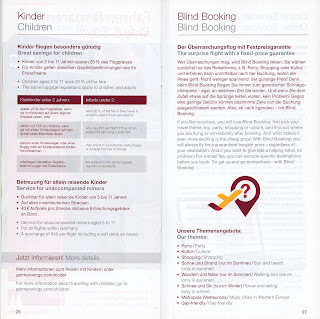 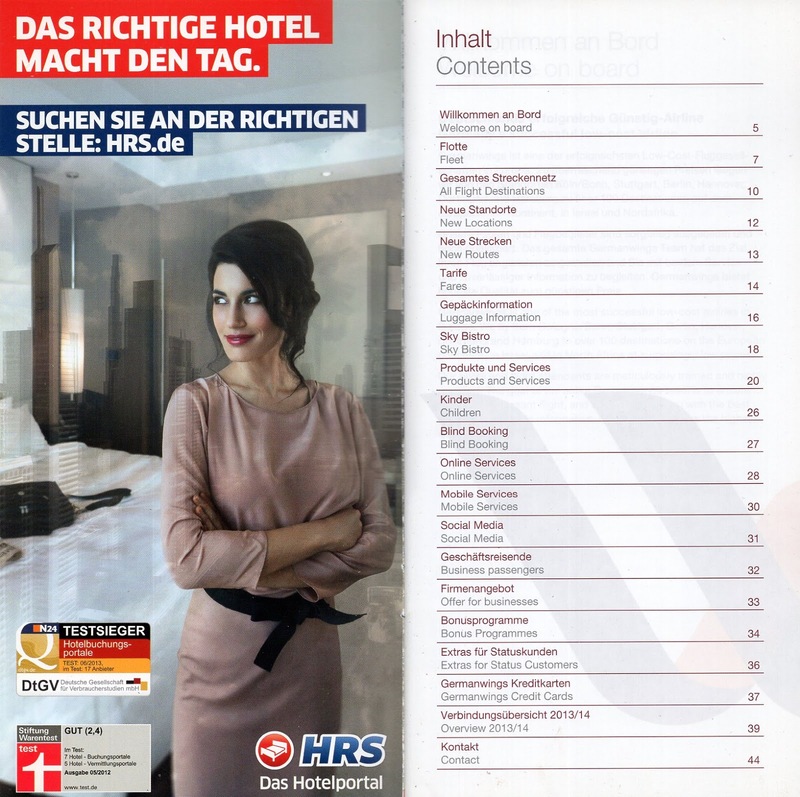 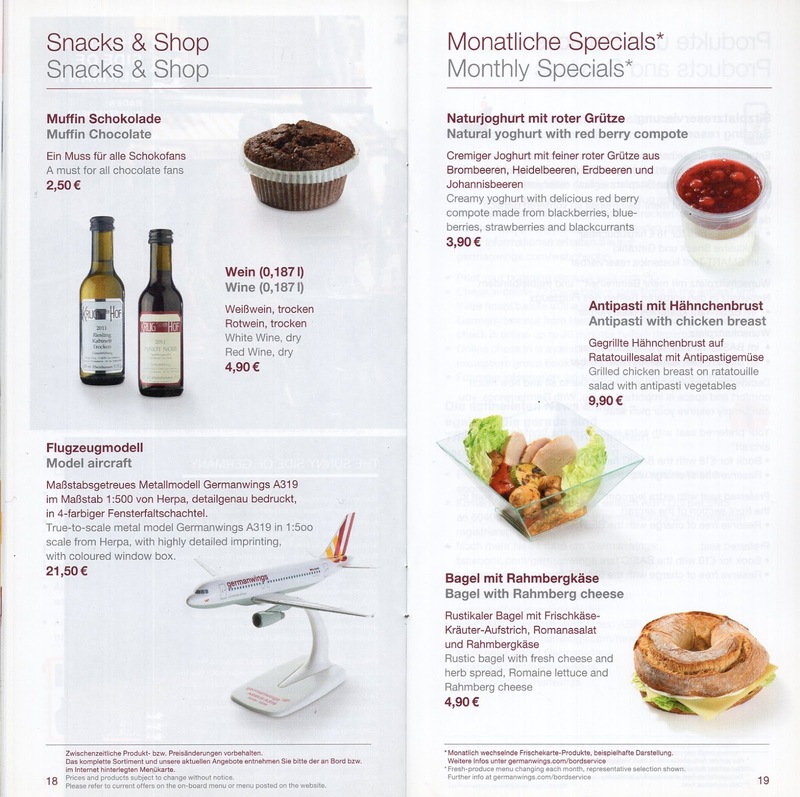 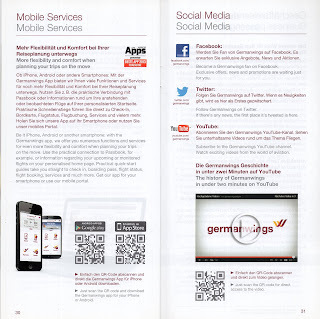 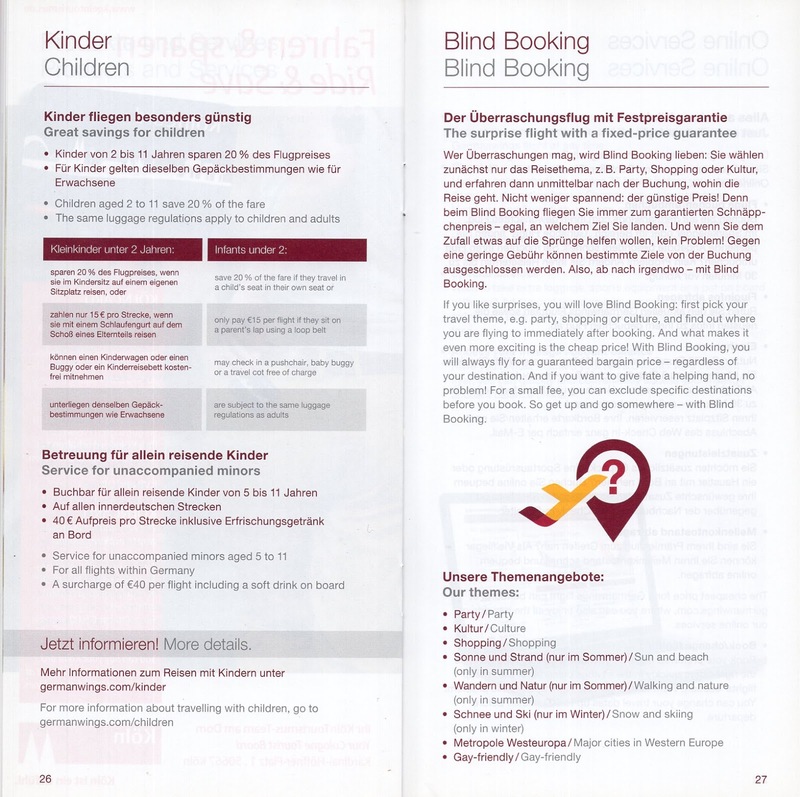 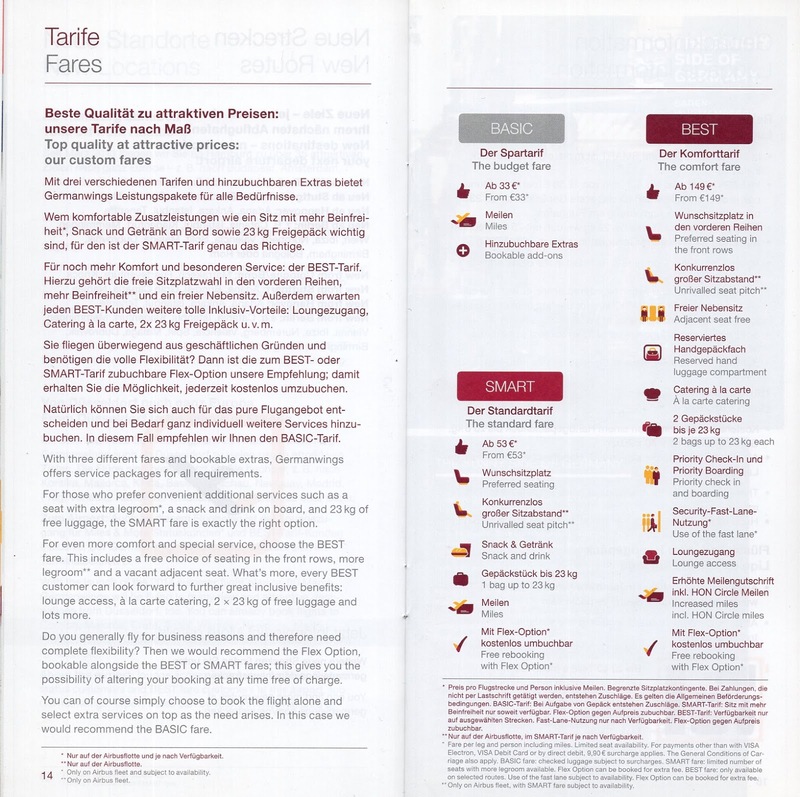 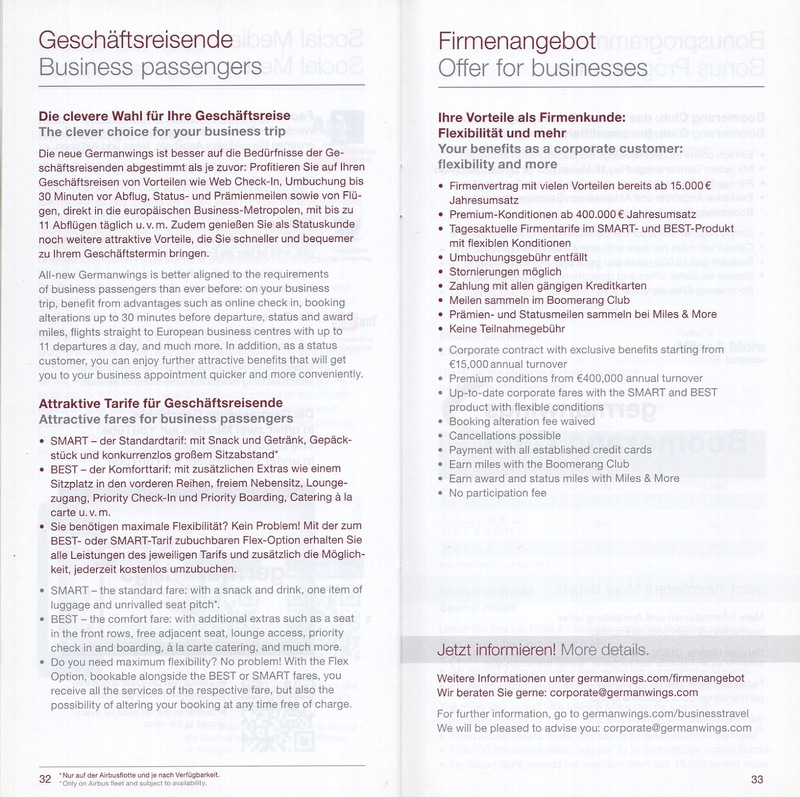 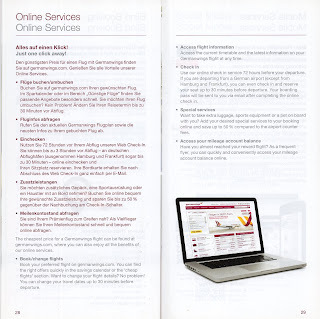 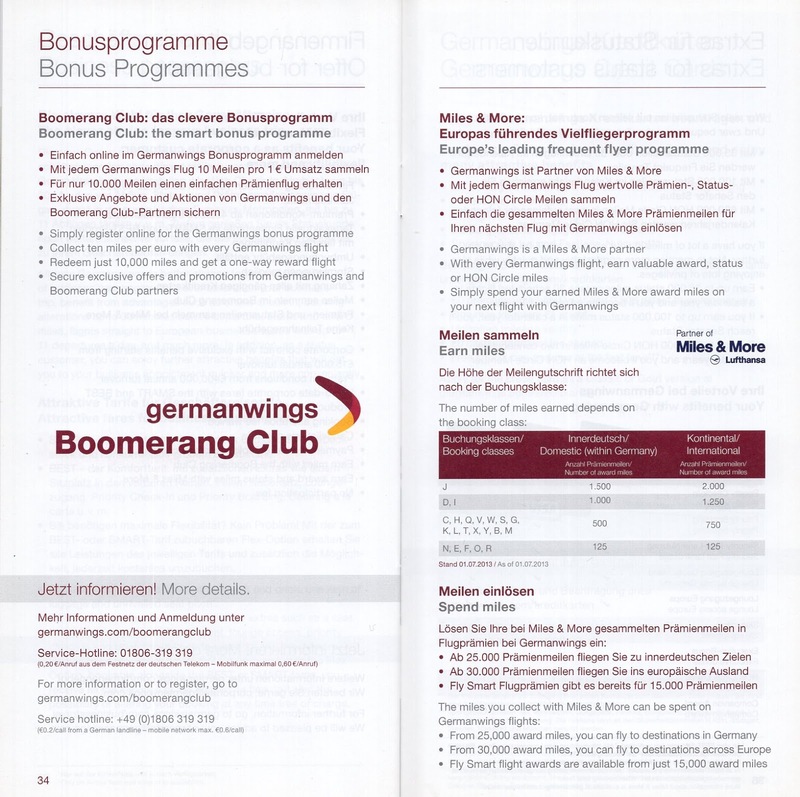 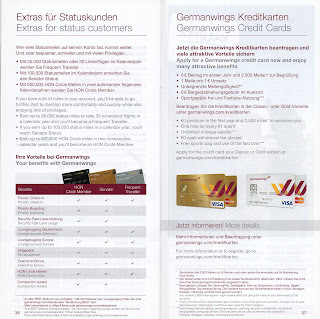 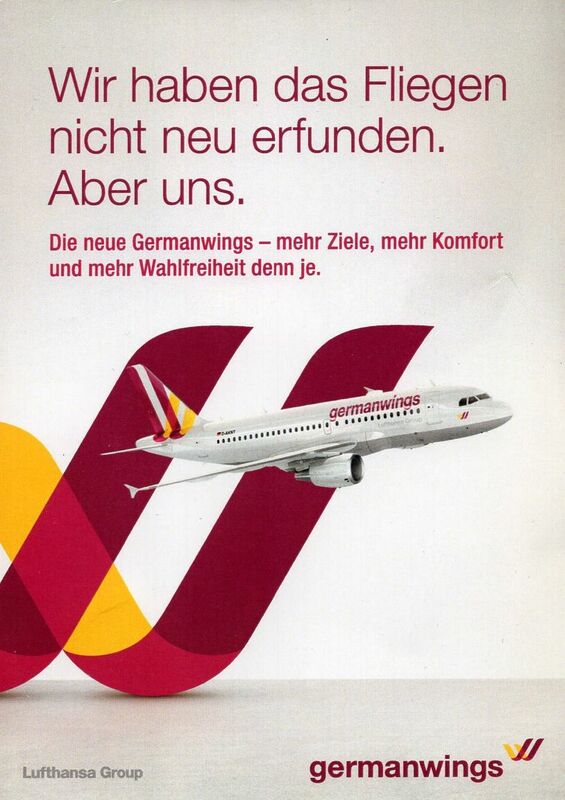 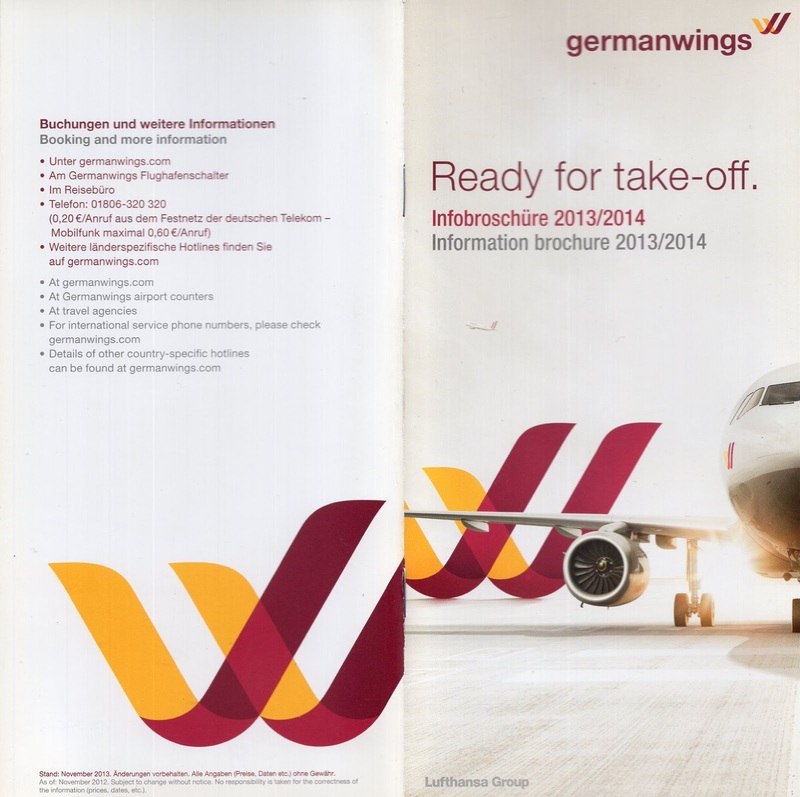 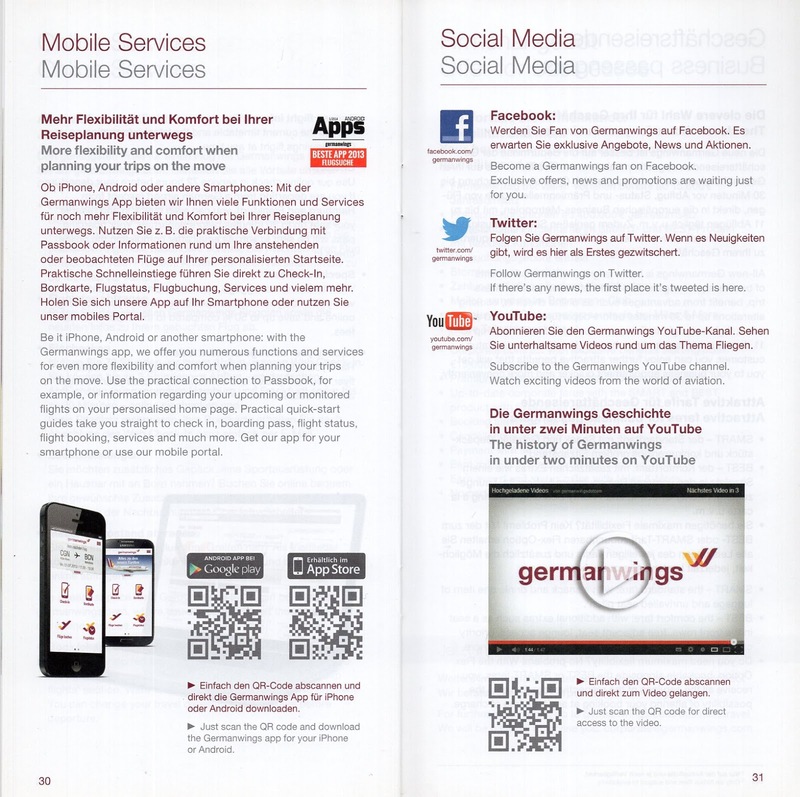 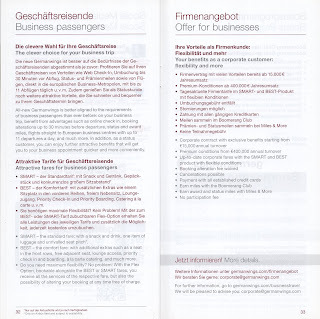 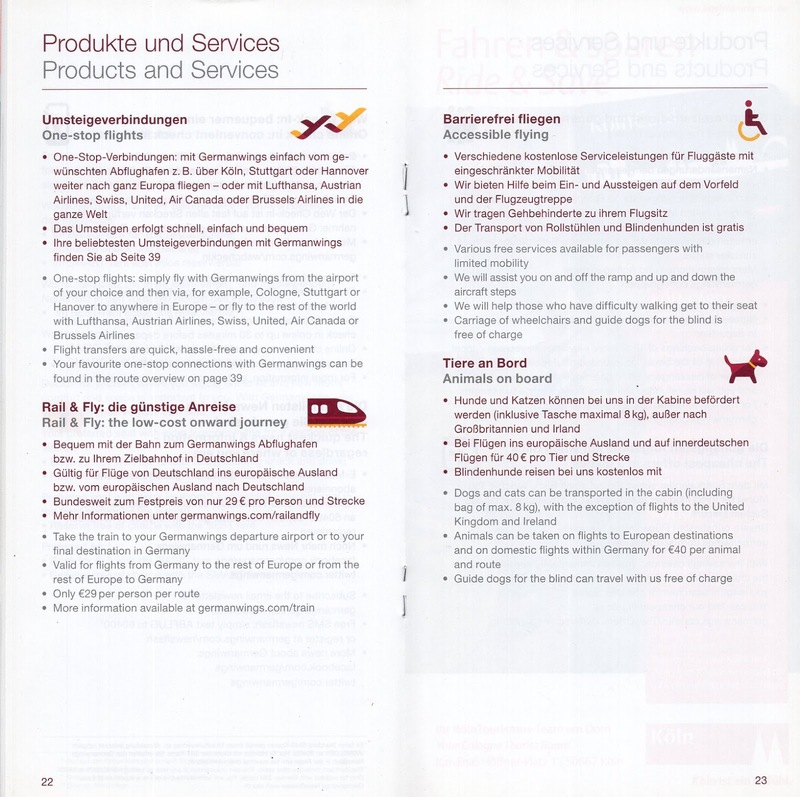 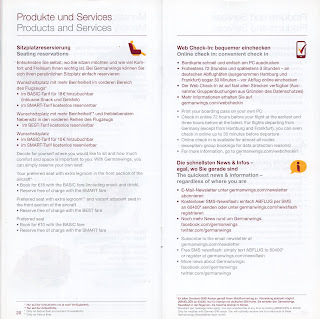 This info brochure introduced the "new" (rebranded) airline to the public, trying to cater to both the low fare public as well as pax seeking a wide range of services that of course were already offered by Lufthansa mainline. 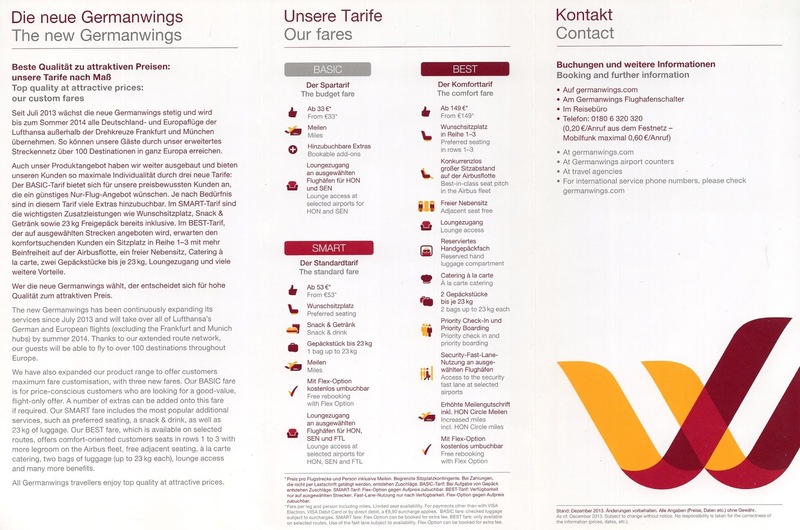 This is the same approach used by other European carriers such as Iberia with the Express brand (and Level, to some extent), Joon by Air France, etc. 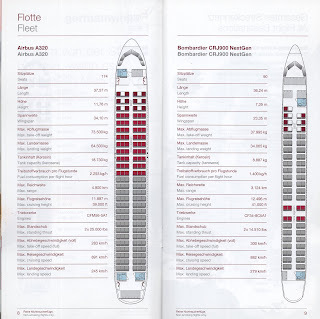 Updated on July 11th, 2018 with more images.